The Salam Cardiac Surgery Centre is more than just a life-saving medical facility - it's also powered by the sun and built from discarded shipping containers. Located near the Nile River in Khartoum, Sudan, the facility is equipped with top-notch surgery rooms, diagnostic labs and more. The fact that it's built from old shipping containers makes it even more impressive - and TAMassociati Architecture should be proud of their accomplishment. 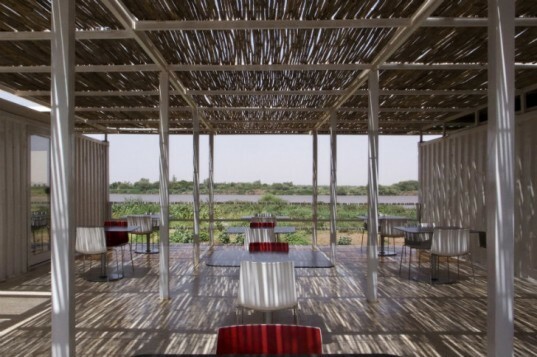 The project was recently shortlisted for the 2013 Aga Khan Architecture Award. The Salam Centre has been offering up free pediatric and adult cardiac health care since 2007 and is run by the Italian humanitarian organization EMERGENCY. During the design phase, TAMassociati Architecture noticed discarded shipping containers around the site of the soon to be hospital. Taking this as inspiration, they reused the containers to build the facility, which includes a hospital block, a cafeteria, and staff accommodations. The cafeteria makes use of seven 40-ft containers and the housing uses ninety 20-ft containers. Each room uses 1.5 shipping containers and includes bathroom and small veranda facing the garden. Lush gardens and courtyards are integrated throughout the complex to create a tranquil setting for patients, family and hospital staff. The facility is kept cool with a ‘onion system’ comprised of 5-cm of insulating panels and an outer skin made up of a ventilated metal roof and bamboo blinds. An on-site solar farm generates hot water for the entire complex. 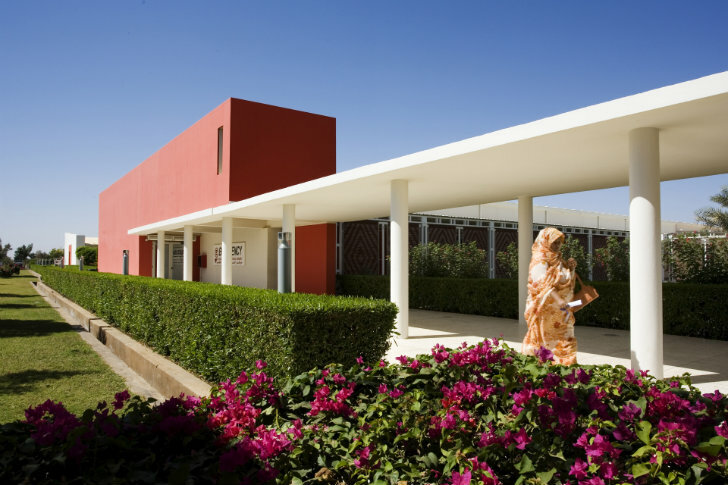 TAMassociati’s Salam Cardiac Surgery Centre was added to the shortlist for the 2013 Aga Khan Architecture Award. The Salam Centre has been offering up free pediatric and adult cardiac health care since 2007 and is run by the Italian humanitarian organization EMERGENCY. During the design phase, TAMassociati Architecture noticed discarded shipping containers around the site of the soon to be hospital. Taking this as inspiration, they reused the containers to build the facility, which includes a hospital block, a cafeteria, and staff accommodations. The cafeteria makes use of seven 40-ft containers and the housing uses ninety 20-ft containers. Each room uses 1.5 shipping containers and includes bathroom and small veranda facing the garden. Lush gardens and courtyards are integrated throughout the complex to create a tranquil setting for patients, family and hospital staff. The facility is kept cool with a 'onion system' comprised of 5-cm of insulating panels and an outer skin made up of a ventilated metal roof and bamboo blinds. An on-site solar farm generates hot water for the entire complex. The shade screens were hand woven. Site plan of the Salam Cardiac Surgery Centre.